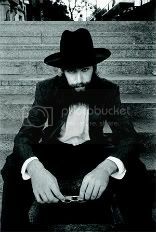 On my way to work today ( 30 min commute) I heard the new single out from everyones favorite rapping rabbi Matisyahu. Its a beautiful catchy tune called "One Day" I love his stuff and I really appreciate the possitive message he is portraying thru this much mis-used medium. im so thankfull to have satellite radio, I lviein the boonies and with out that Id NEVER hear anything new! So we have to wait untill aug for the album release, but I feel sure everyone will be singing this little tune soon enough. Matis is awesome! You got to check out his videos. "Youth" is my favorite! !